It's October, and the spooky characters and creepy crawlies are coming out of the woodwork. It's the one time of year where it's fun to get scared (or maybe not, we don't judge), and to scare others. But the scariest things we've seen, and we mean downright horrifying, are not clowns (don't get us started), or zombies, or ghosts. No, the heart-clutching, stop-in-your-tracks moments come from bad web designs. 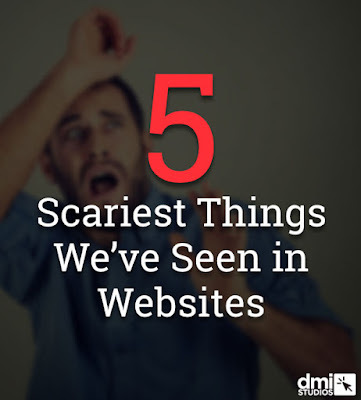 We're here to share the scariest elements we've seen in websites. It's for your own good, really. This first one is a bit tricky. The inclusion of Flash itself is not scary, but how it reacts on certain devices can be. Depending on your device, the use of Flash could leave a broken image or blank area on a website. Flash is also strictly forbidden on iOS. However, for sites like YouTube that still utilize Flash, there will be a "no Flash installed on device" alternative. Our advice? Use HTML5 Video/Audio, which uses the device's built-in media players, and doesn't require any additional installations. For a quick overview on how to set up an HTML5 video, check out http://www.w3schools.com/html/html5_video.asp. We'll just come right out and say it. If your website is still touting homemade animated GIFs, they have got to go. They are distracting, they make your site look dated, and like it was created by an amateur. You don't want to look like you're stuck in the 90s, or worse, that you are not a professional organization. First impressions are everything. If your visitors take one look at your website and come to the conclusion that they can't take you seriously, it's not a good sign for your business. If you must use GIFs, make sure they are well-made, from resources like GIPHY.com, and keep your website quality a step above your Facebook and Twitter profiles. Ok, we know you've got a lot of information you want to include in your website. We all want to share everything our business is up to or has to offer. But when everything is thrown together haphazardly, or squeezed onto a home page, there is too much going on for your user's eyes and brains to focus. Where to look? What to read? It becomes overwhelming, and, rather than try to sift through every detail, your visitors are going to leave your site. Quickly. Decide what must stay, what can be transferred to a separate page, and what should be removed entirely. See what we mean? There is just way too much going on here. No, not that kind. We know we just told you to de-clutter your website and/or home page, but make sure your site doesn't go too far in the other direction. If your website is just a few sentences of content and a lone image, with the rest of the page empty, it is not providing enough information. Your customers or leads are coming to your site for a reason. 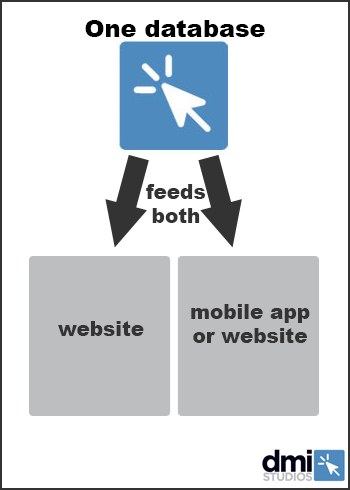 Chances are, with a page lacking substantial content, users are not getting what they came for. Without a second glance, they'll look for someone who can provide the information they're looking for. Make sure all relevant information, including your services or products, what sets you apart from your competition, and contact information is listed. Look at all that open space! There are plenty of content opportunities that have been missed here. There really is too much of a good thing. We all know the best way to capture someone's attention is through engaging or eye-catching visuals: something that pops on your page. But if your website is engulfed in popping visuals, it's hard to know what is the pertinent content to focus on. With super bright or clashing colors, your eyes will need a break quickly. Add to that difficult-to-read fonts or bright fonts against a bright background, and it's sensory overload. 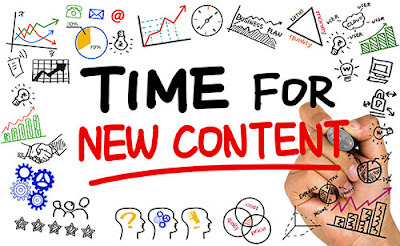 If your visitor has to squint or highlight all the text to read the page's content, they will likely abandon your website for another that is easier to digest. Your background and font colors should be complementary, and leave out "scripty" fonts. And Comic Sans. If you're not sure what to use, leave the decisions up to the pros. Ouch. Excuse us while we give our eyes a rest in a dark room. If you think you can handle one more terror, check out http://www.angelfire.com/super/badwebs/, which encapsulates just about everything we've discussed today all in one fell swoop. We hope we didn't give you too much of a scare. But if we did, we are happy to calm you back down. If your website contains any of the above fear factors, contact us for a consultation full of treats - no tricks up our sleeves. Valentine's Day is right around the corner, and we all know what that means: love is in the air. At DMI, our true love will always be great websites. What are these great websites, you say? We're glad you asked. 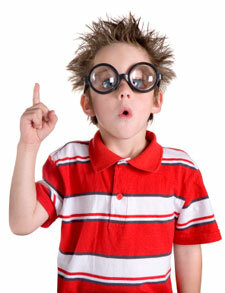 Google is the bread and butter of online marketing, so of course they are in our favorites. But there's a reason they have such an impact. They have a simple design. Their search interface is clean and un-cluttered. They're consistent. The search interface and search results that you know and love as Google has remained relatively unchanged for the last decade. Which means users know exactly how and where to find the information they're looking for. They know what they're the best at. They know their strengths and stick to them. They're innovative. Case in point: Amazon Prime and Amazon Dash. They have also begun generating their own content. To us, there's nothing better than innovation. They're customer-centric. Amazon will always go above and beyond to attract new customers and to maintain loyalty within their current customer base. Offering quicker service through Prime is the perfect example of this. Convenience. Let's face it, we all need convenience in our lives. Amazon provides quick and easy shopping for just about anything. You didn't think Marketers could leave out this social media giant, did you? Facebook effectively changed the way the world communicates. Facebook changed the way we communicate with our friends and family. Gone are the days of phone calls for updates on our lives or sifting through a stack of photos from important events. And now, for better or for worse, your friends and family see MORE of your lives. Facebook changed the way we get our news. Its immediacy allows us to know what is happening not only in our community, but around the world, without waiting for the next news segment to air or the following day's newspaper to be released. Facebook changed the way consumers and brands interact. The platform allows for a stronger way for businesses to connect with their customers and attract potential customers. Likewise, it allows for customers to stay up-to-date and to make informed decisions. It's simple, free, and localized. Meaning, anyone can use it, and it's easy and convenient to make nearby exchanges. Which means sellers can receive recognition for their work and build a greater audience they otherwise wouldn't be able to reach. They have a simple, easy-to-use sales process, making purchases convenient for customers. Need to implement some of these themes in your website? We'd love to chat. Life moves at the speed of light, it seems. Meetings, commitments, travel, family and friends all have our attention, and it's a constant stream of movement. Often, we must remind ourselves to stop and ask an important question: "Why?" Web Design is no different. There are features and apps and content management and blogging and social media and, if we're not careful, we'll careen from one to the next without ever stopping to ask "Why?" Why add a new feature to your website? Why add an "under construction" page? Why enter into a new social media website? If you're about to do anything to your brand's website, social media or online presence, be sure you know the "Why?" You'd never get into your car if you didn't have a destination. Otherwise, how would you ever know if you've arrived? The same is true of web projects. Are you meeting goals you've set? How will you ever know unless you first set the goals? The "Why?" 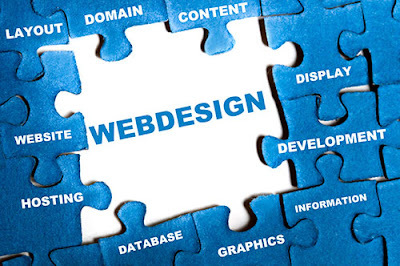 of web design is more important then the "How?" because logistics can always be worked out later. If you're at a point where you need to nail down your "Why?" block off a time to commit to brainstorming by yourself or those most vested in the initiative. At the end of the session, you'll know full well if it's an initiative you should continue with or if you're simply chasing windmills. We'd prefer you leave that to the works of fiction. Your small business is working hard every day. Don't forget that you're creating and producing and moving forward along the way. Display that hard work on your website. Showcase your products or services or the effects of your products and services for the world to see. The proof of your biz is in the pudding. And people want a taste! Things are happening all the time at your business. People want to know. Whether it's via a company blog, Facebook updates on your website or an Instagram feed, your brand's future is a great source of content for your small business website. Whether you have a sales team or if you are a team of one, salespeople are a great source of website content. Every day customers and potential customers are asking questions. Create a small answer bank on your website of the most common questions and their answers. 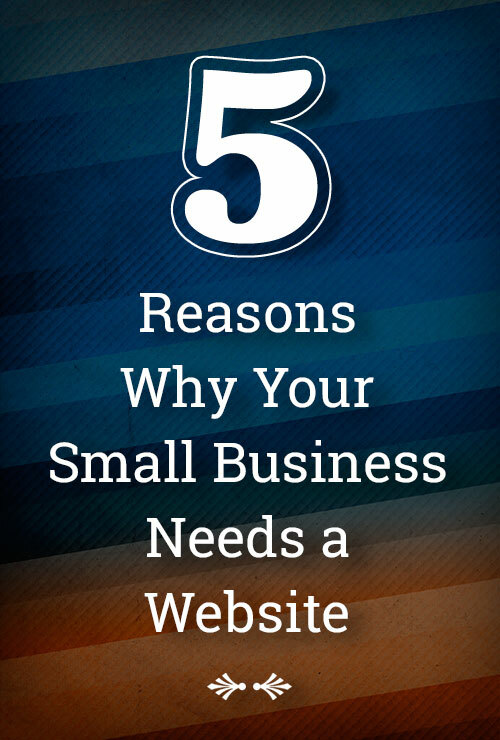 Visualize your small business website as a pathway to your front door. Every piece of information and assistance you can lend can help a customer along that path, making it easy for them to walk through your door. What insights and information can you make available to help potential customers along? What can you offer to make it easy to purchase from your brand? Maybe a free sample. Maybe a free consultation. Maybe a slideshow about how your product or service will make their life better. Make it easy for them to walk through the door and purchase from you! Nothing is more frustrating than heading out to shop or getting around to making a phone call and not reaching the person you intended. At the very least, provide basic information about your business. Where are you located? What are your hours? How do I get to your door? At the very best, you could provide contact details for all of the employees at your small business. Again, make it easy to do business with your brand. Many of us revel in the deleted scenes and outtakes from our beloved DVD collections. Brands are finding out that their customers are just as captive as an audience. What does a team brain storm look like? How high up did you have to hang an outdoor sign today? How happy is that couple that you just took engagement photos of? Your small business is an expert in your field. So, show us! If you've spent money on a great new brochure, put it on your website. There are amazing online options that make flipping through a brochure or catalog as enjoyable as real life. Did you just put up a clever billboard in town? Take a photo and add it to your Instagram or Flickr feed. If you are spending money on marketing somewhere, put it online and maximize your money. If you need a little help or a lot of help on your small business website, we'd love to connect with you! Website features, like anything else, come and go with differing fads and fashions. Does your website have a feature you should hang on to? Or a feature that you should get rid of? Recently. Mashable asked 12 entrepreneurs for their opinion on web trends and features. We read their ideas and had a few thoughts to share. What is it: A slide-show of images and/or text that automatically rotates through. Viewers can also click through all of the tabs. Keep it or Trash it: We currently produce a number of sites that use this feature. Why do we love it? It gives your web visitor a quick run though the hot-topics on your website. In our visual-heavy culture, a combination of images and text can send a message faster than just text. What is it: Getty revolutionized websites with the availability of a stock photo of pretty much anything and everything. Keep it or Trash it: If you don't have any proprietary photography that will work well, a stock photo may be your best bet. However, web consumers are becoming more brand-loyal and they like to know the faces and places behind those brands. We say, use stock photos only when necessary! What is it: In this case, a picture is worth 1,000 words. Keep it or Trash it: This fad went out over 10 years ago. The American flag is a beautiful thing! Just put a nice, small graphic of the flag on your site and leave it at that. We say, keep the flag, get rid of the animation! What is it: As you navigate along a website, the menu, sidebar and footer don't need to be reloaded, necessarily. Just the content in the middle of the page would need change. Keep it or Trash it: This is a must keep. If you ever want to send a customer to a specific page or product, then each page really needs their own unique address. Also, search engines love to crawl pages on your website. Make it easy for Google to find your site and index all of its information. What is it: A separate website just for mobile devices. Keep it or Trash it: Responsive websites are becoming more of a necessity with increasing web use on tablets and cell phones. If you've got an elaborate website, a separate mobile site may actually be easier for your audience to navigate. We say, go responsive if you can. If not, be sure to have a separate mobile-ready website. 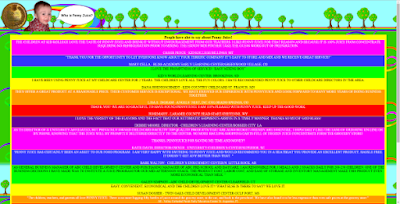 What is it: The 250-300 pixels along the side(s) of a website. Keep it or Trash it: If you utilize sidebars on your website, be sure all of the information you put there is necessary and not simply taking up space. If you choose to go without, be sure your web site content has large margins. What's a good rule of thumb for text width? Your text should be no wider than it takes to list out the alphabet three times. Any more and it is difficult for the eyes to track. We say, do what delivers the most value! Keep it or Trash it: Please let the "hit counter" go the way of the floppy disk. But do delve into your website's stats to see how many visitors you've had, what the top search terms were for your website and other valuable information. Please note: hits are no longer being tracked. What website elements do you think should be a thing of the past? We'd love to have you join the conversation on Facebook! Want to know what a $15 million website redesign looks like? 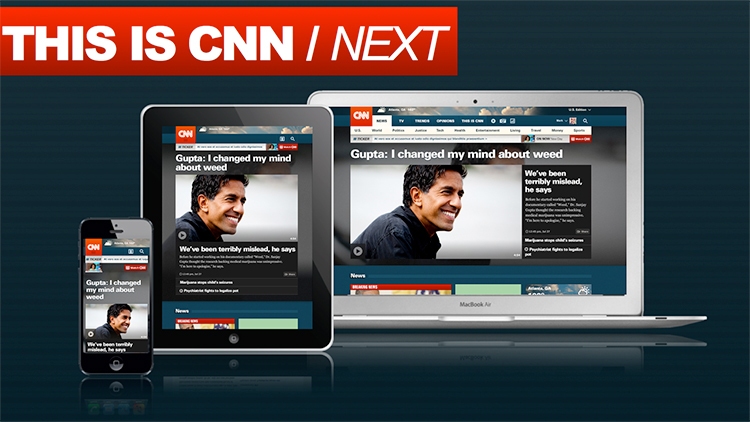 CNN.com is planning to unveil their brand-new website in November, and they've tweaked the homepage, the mobile experience and the back-end of their website all in an effort to redefine readers' experience. There are a number of tips from their major website overhaul that translate to any website--no matter the budget. More people are accessing the web via a mobile device everyday. With faster phones and data streaming speeds, looking something up on the web is becoming a natural part of daily life. Whether it's checking in on Facebook or researching area restaurants, mobile customers are a huge source of web traffic. "Desktop [traffic] is flat. It's aging," KC Estenson, general manager of CNN.com said. "Mobile growth [is] off the chart." Currently, CNN.com garners about 39% of their total traffic from mobile devices--a figure they expect will only increase. Check your website stats. What percent of total traffic is from a mobile device (phones and tablets)? You may be surprised. Now, check out your website on a few mobile devices. What is the experience like? CNN.com is known for using the color red in their logo as making red a major player in their color palette. The new design will maintain the red logo, but the color scheme will be darker and more dramatic. Then, as news stories are more pressing and urgent, the colors change to become more urgent--a brighter background with a red headline. Seriously revisit the colors used on your website. How long have you been using them? Is it time to introduce a new feeling or theme using color? However, be sure to keep the brand consistent (aka - don't mess the logo unless you're looking to update it across the board). CNN.com is looking to make the process of adding a news story to their website easier and quicker for their contributors. In addition, the process of publishing a story to the web and mobile devices will be streamlined. 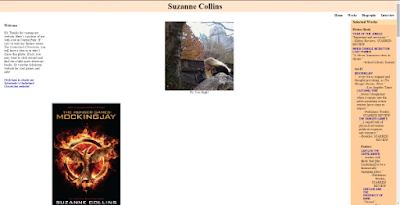 Finally, readers can tag stories and recieve updates and view articles of a similar nature. 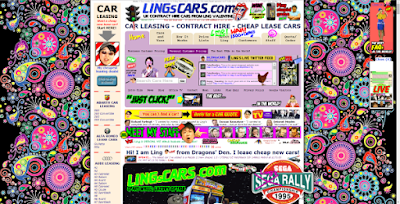 What current website features have become cumbersome or unenjoyable? Is it due to a process that is too clunky or time consuming? An update to the back end of a website is more costly, but the time, effort and tears saved may make the project entirely worthwhile. The new CNN.com will feature more photos. And, the more pressing the news story, the larger the photos. Web viewers are becoming more visual with websites like Pinterest capturing much of their time. Is there an area of your website that could benefit from larger photos? If your shutter skills are rusty or you rely on your smartphone for website imagery, it may be time to up your game. Consider hiring a professional or honing your photography skills. Either way, remember that a picture is worth 1,000 words. The ability to tag news stories is going to be huge. If visitors to CNN.com tag a human interest story, the website will then suggest other, similar stories in an effort to make the website as personalized as possible. Are there similar ways you can present a personal experience for your web visitors? It can be as simple as an email suggesting similar products when a customer completes a purchase or as sophisticated as delivering content based on their viewing preferences. Another way to personalize your brand is to respond to commenters on social media and blogs. No matter the budget, there are a number of lessons appropriate for any website in the $15 million redesign of CNN.com. What are your thoughts? We'd love for you to pop over to our Facebook page and fill us in! You've got a website. It's been working hard for you for years, and it's time for a redesign. When you approach your web design agency and they claim you don't own the code. Chills run down your spine as you recall the investment you put into that site--time, money, sweat, frustration. It was all gone now. Determined not to be fooled again, you choose a new company to work with. Once again, you go through the process of creating a website *from scratch*. The planning, work, effort and diligence needed are met and your website is up and running. This web designer looks like Elvis compared to the last guy. You envision setting him up with your cousin, you're so impressed. A few years and changes in technology later, you're ready to update and find a new designer you'd like to work with. It's nothing personal against Elvis, but you've found an agency that fits your brand better. That's when Elvis reveals he's really just a zombie in disguise. The slick web designer made sure that you didn't own the code once again. When you request the code for your website due to switching vendors, Elvis refuses. He claims your code will not, in fact, be leaving the building. Staring down the double barrel of starting your website all over again, you feel week in the knees. How could this have happened? Again? 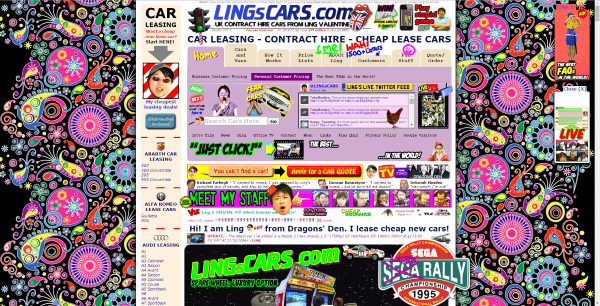 Are all web design companies just used car salesmen in disguise? Frustrated, and feeling almost six-feet under, you're not sure you have the effort begin again. What's the use? Maybe, you should just bury the hatchet. As horrifying as the above story is, we warn you that it is true. Not all designers are scary monsters that look to haunt your future, but some of them are, you just don't know it. A client of ours experienced this situation and finally found us. In talking with them, we felt their pain and worked to gain their trust. How can you avoid a horrifying situation like this? 1. Be sure you own the code and framework used to build your website. You may not realize it at the time of signing a contract, but if this is not explicitly spelled out, you may be getting the wool pulled over your eyes. If you decide to leave, or simply want to redesign the site, your designer may claim that they need to start from scratch. Don't become a statistic. Get it in writing that you own the website and are welcome to take all of the code and tools used within in the event you walk away. 2. A deal that's too good to be true, probably is. If you're looking to get a professional website for next-to-nothing, you're only fooling yourself. It's like the girl that's home alone in those horror flicks. Why does she always answer the phone when the bad guy calls? Just. Don't. Do. It. Realize that you get what you pay for. And, in the event you want to leave that vendor, there may be a reason why your website is held hostage. And you're left crying like a baby. Moral of the story- read the fine print. Many companies that offer low cost entry and low monthly fees also retain ownership of your site. It's like renting an apartment. If you painstakingly painted a mural on your wall, you can't take it with you when you leave. 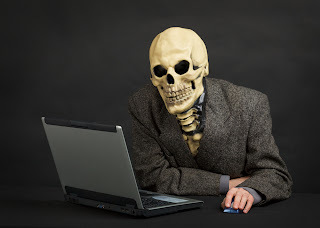 If you're looking for a website update and are feeling tied to a chair, call for help. 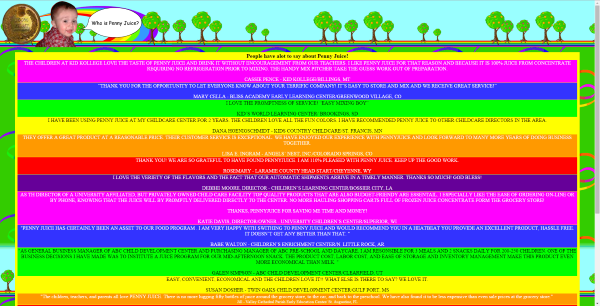 We love turing web design horror stories into fairy tales! If you've got a web design or hosting horror story, we'd love to hear it! Connect with us on Twitter or Facebook. "I'm not looking to sell online." "I serve only a small geographic area." "I have a Facebook page"
And, our favorite: "Many of our customers aren't web-savvy." Having a website allows a business the opportunity to submit this specific information to a variety of directory listings. Once submitted to local directories, much of the above information displays on search engines with an opportunity to click to the website. Without a website, this opportunity does not exist. And, to consumers, that may mean that you don't exist. Ok, so maybe you're not looking to sell online. 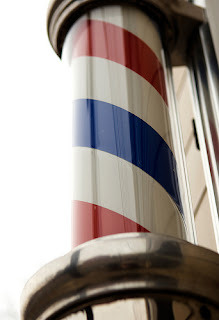 Maybe you're a salon or sign company or tourist destination or local coffee shop. We understand. However, consumers want to SEE what you do. Did you whip up gorgeous hair-dos for Prom this year? Did you just put a new sign up at a local business? Are the beaches in your town amazing destinations and you recommend I go there? Show me. We live in an image-driven society and people want to see what they're about to buy/experience/see/do. It's as simple as that. If you're not showcasing your product/service/destination/idea, someone else probably is. And guess who will get the business? You say that you post pictures like a paparazzi to your Facebook page. Your fans see all of the wonderful creations you come up with, they know about your specials and engage with you regularly. That's great. But, in a few short months to a year, those posts are long forgotten. A newbie coming to your page is not going to scroll and scroll and scroll until he comes across the image that convinces him your product/service is for him. He may not care about the cute comments and back-and-forths with your community. He wants to see the goods (see #2 above). A website with a portfolio section is properly organized and will help consumers locate and view the images they're looking for quickly. This makes the process of looking at your business's offering a painless process. Facebook is a valuable resource and should be tapped to it's ultimate potential. Although questions remain. In 5 years will Facebook still be as valuable? MySpace shot off like a rocket and fell like a lead balloon through its short history. All of the data, images and communication you spent time on could be gone. Just. Like. That. A website is up 24/7 promoting business every waking hour. No caffeine necessary. No 401k, insurance or bonuses. Are you saying you couldn't use a dedicated employee like that? A small business website with a portfolio, a testimonials section, a feed from your Facebook (see, we're not haters) and Twitter is a robust selling machine. And it works all while helping your audience know, like, and trust you. That's a smooth sales tool. As we mentioned, being known, liked, and trusted are all valuable if you're planning to make a sale. So, you can't slap any old website up and assume your bases are covered. 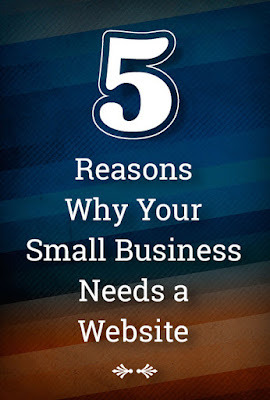 Your business's website must convey that you can be trusted. A shoddy website will be like that 24/7 sales person showing up with greasy hair in a leisure suit and mis-matched socks. It's an image any consumer would want to run away from. Don't scare your consumers! A professional website is not so out of reach. If you've been told that it is, you're looking in the wrong places. Keep looking. We're happy to chat about our small business portfolio. The next time you're looking to dial up, logon and do an Internet search for an small business, imagine your audience doing the very same thing. What will they find? 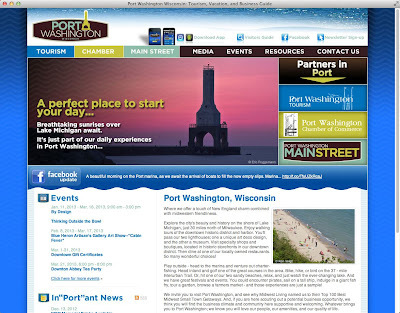 Over the last few years, we've had the pleasure of working with some great Wisconsin Counties and Cities in getting their interactive presence in order. Nothing brings us more joy then helping these counties attract businesses, tourists and those relocating through the quality information on their websites. 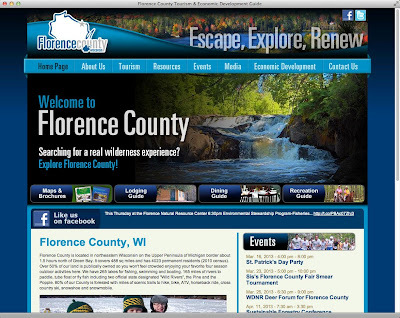 In honor of the upcoming Wisconsin Governor's Conference on Tourism this next week, we'd like to showcase how our websites are helping these counties take care of business. In addition to having great design, we work a little magic into those designs as well. Allow us to explain: typically an entity will come to us and say they need a new website. "However," they'll go on, "we share our website with the county's Economic Development and City Council. How can we make one website to serve all three interests?" That's a great question! Creating a website that serves different "customers" can be a difficult task, but it's one we've tackled on many of these website designs. The keys to directing the website traffic are having clear navigation and calls-to-action for each customer base. Dilemma solved! Since each website is a custom solution (and not a template) these features are easy to add in for any entity that would like them. The key here is a totally custom solution for their unique needs. Another benefit to a custom website is a custom database--one that stores all of your valuable information such as Events, Photos, Business Information and other data. This database is used everyday to feed information to your website, but it's not a one-hit wonder. The very same database that is used to populate your website can be used for your mobile app or website! This means no re-entering data between databases that feed your website and app! It's a powerful tool that will help your customers get the information they need from any device they're on. How's that for power? Just building and maintaining a website can be a frustrating and confusing situation. You need a web host, a web designer, an email host, someone to help design your Facebook page, an app developer and someone to help market it all once it's all live. Whew! Then, when the entities need to get information from one another, well you know who will be caught in-between. They want to build your website. We want to build your business. Were a one-stop shop! We can do all of these things for you to eliminate any past headaches (remember that web-host that just. stopped. hosting. ?) and work to make the web creation process as seamless as possible. With these solutions all under one roof, you won't even need to reach for the pain-reliever. 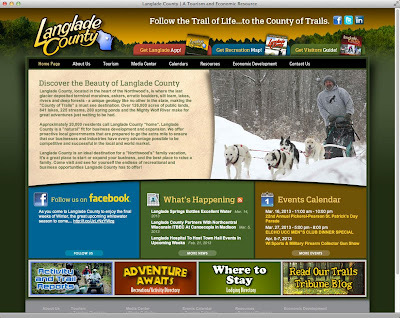 We truly love partnering with Wisconsin Counties, Cities and Parks to create custom web designs to meet their needs. 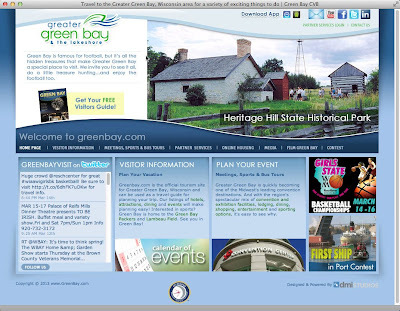 To view a number of other tourism and government-related websites we've done, check out our portfolio.